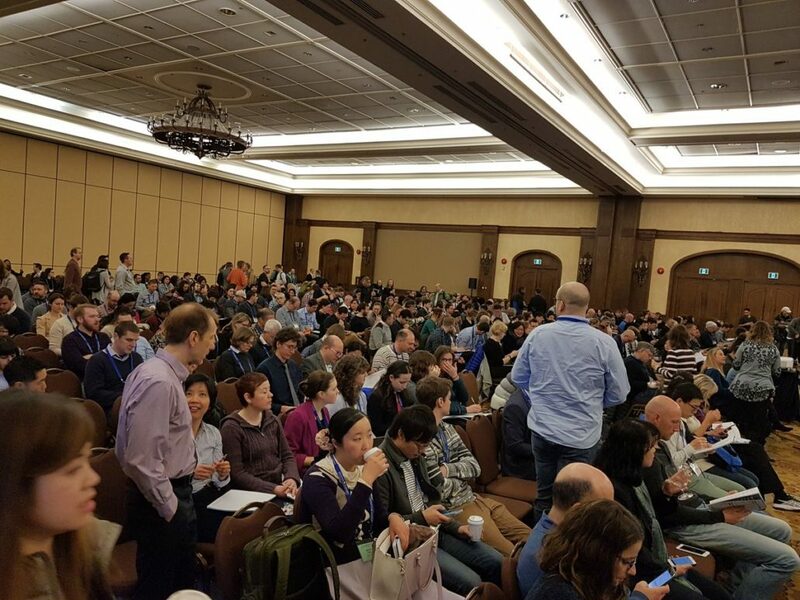 Gut microbiota researchers from across the globe gathered in Banff, Canada for two joint conferences: (1) "Manipulation of the Gut Microbiota for Metabolic Health" and (2) "Microbiome, Host Resistance and Disease". On day one of the conference—March 5, 2018—all sessions were held concurrently. For several human diseases, observed differences in gut microbiota composition between disease populations and healthy controls are well known. What's of greater interest is mechanism: the steps causally involved in disease pathogenesis or maintenance. On March 5th, to a packed room, the presenters delved deep into the gut-microbiome mechanisms responsible for human disease states ranging from obesity and diabetes to cardiovascular disease. The morning sessions focused on the mechanisms of pathogen infection as well as obesity and type 2 diabetes. In the keynote address, Andreas J. Bäumler (University of California, Davis) gave a detailed account of something that could be a driver of gut dysbioses: oxygen becoming available to gut pathogens. Then Fredrik Bäckhed (University of Gothenburg) described how a bacterial metabolite—imidazole propionate—may be related to type 2 diabetes, and Liping Zhao (Shanghai Jiao Tong University & Rutgers University) delivered a talk on various aspects of the gut microbiota in obesity, underscoring the necessity of considering microbial ecology. After an afternoon workshop by Microbiome Insights' Scientific Advisory Member Curtis Huttenhower (Harvard), which gave an overview of different microbial community analysis workflows, the afternoon sessions focused in on the gut microbiota's role in the control of fat metabolism. The wide-ranging topics covered how the gut microbiota may be involved in liver disease pathogenesis; how cold temperatures transform fat (a process called “browning”) in order to use more energy and decrease adiposity; and extensive work from the lab of Patrice D. Cani on the endocannabinoid system and how intestinal NAPE-PLD appears to be a key sensor controlling food intake and energy metabolism upon fat exposure. Follow our Twitter feed tomorrow -- and don't forget to check out the hashtags #KSmicrobiome and #KSgut for more of the action from the Banff Keystone Symposia!